Pressure Cooker Pros may from time-to-time receive commission for linking to other websites. However, this does not reflect or influence the content and reviews we publish. Any paid advertisements shown within our content will be clearly identified as such. 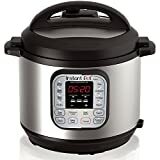 Amazon Affiliate Disclosure Notice: It is important to also note that Pressure Cooker Pros is a participant in the Amazon Services LLC Associates Program, an affiliate advertising program designed to provide a means for website owners to earn advertising fees by advertising and linking to amazon.com, endless.com, smallparts.com, myhabit.com, and any other website that may be affiliated with Amazon Service LLC Associates Program.